Kaza, a hill station located in the exotic valley of Spiti is divided into two parts which is the Kaza Khas and Kaza Soma. Kaza Soma has all the administrative headquarters whereas the old Kaza has Tangyud Gompa which resembles a fort and dates back to 4th century. One can approach Kaza through two axes, one from the Kinnaur valley and another from Lahaul. The axis of Kinnaur is accessible throughout winters and the other axis closes down during winters. 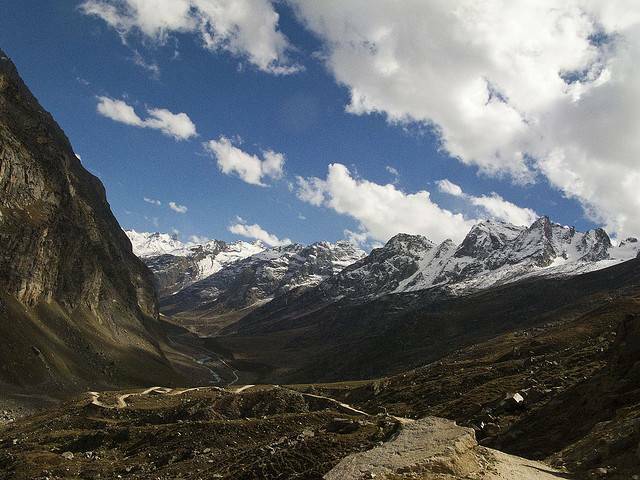 Do visit the RohtangPass while approaching Kaza from Lahaul side. Kaza located at 12500 ft beside the Spiti River is famous base camp for all the trekkers and mountaineers who visit Spiti valley to satisfy their trekking needs. Generally the trekking routes are treks to village Langza, Losar and Kibber village. While at Kaza visit the Key Gompa and the PinValley national park which is a famous for an insight to the Himalayan wild life.